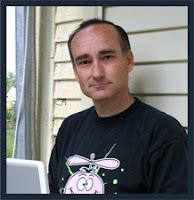 There's no way to pigeonhole Chris Bohjalian's latest book. It's a murder mystery, but it's not a typical murder mystery. There's romance, but it's not your usual romance. It's historical fiction, but it's about a time and place that hasn't been featured in many books. The upheaval in Italy during WWII cannot be overstated. Bohjalian brings this period to life by focusing on the struggles of the Rosati family. Germany and Italy are allies...until they aren't. Loyalty becomes a very sticky subject. A decade after the end of the war members of the Rosati family are being targeted by a vengeful killer. Do the murders have something to do with the way the family conducted itself during the war? No spoilers here! I hope you're as surprised by the ending as I was. 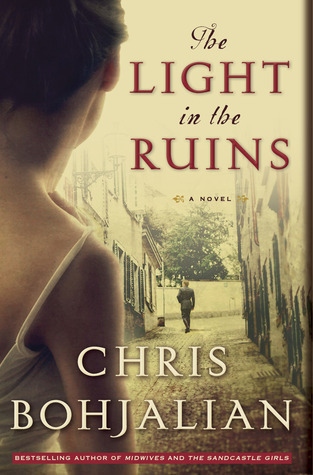 The Light in the Ruins is a well-crafted and polished tale. The setting is impressive and the characters are convincing. Mr. Bohjalian has done it again. I'll absolutely be looking forward to whatever he writes next. I usually don't have great luck with his work, and he ALWAYS seems to be lurking around seeing me say that. I will try again, but I'm thinking Midwives might be the book for me. Have you tried Sandcastle Girls? Now I feel like I might have to be on a mission to make you LOVE HIM, ha ha! This sounds great! I really liked several of this author's earlier works: Skeletons at the Feast and Midwives. Hmm, a unique historical murder mystery? Must have! I've only read a few of his books (listened to a couple), but enjoyed them immensely. Will add this to my list! I've had iffy luck with him. I liked Midwives (which totally could have been a Jodi Picoult book too) a lot but had to put down The Night Strangers because it was not for me at all! You should definitely give this one a whirl! Everyone has been raving about this one, and I can't wait to read it. I hope you'll find time for it soon Jennifer! :D Thanks for visiting me here! Historical, WWII era sort-of murder mystery? I'm sold. I haven't read anything by him before, but I've heard nothing but great things about this one. History mixed with mystery always gets me intrigued! Great review! I have never read him, but you have intrigued me. Thanks :D I really hope you get to something of his!! Sounds like it's got something for everyone!Definitely going to be picking this one up! Good to hear :) I hope you do Lisa, it's a great one. I keep seeing Bohjalian's name pop up but I haven't yet read one of his books. I love a story that's not very clear-cut and not easy to pigeonhole. Also sounds like it would make a good book club book! There are a lot to choose from. I think he has 16 out? That's a guesstimate :) Everyone one is different from the next which I really appreciate. I only occasionally read historical fiction, but this one sounds intriguing. I like the Italy setting as well. Thanks for showcasing! You're welcome Greg! I really liked the setting and time frame of this one. I didn't know enough about Italy during WWII and now I have a much better grasp of what it must have been like. I've not read any Bohjalian, but now I have to do that. Your review is full of "you need to read me" pull. To the TBR list this goes! This is another book on my hurry-up-and-read list. I love books set in Tuscany and most everyone is saying wonderful things about this one. Bohjalian's premises are always fascinating, and I love the first 2/3 of his novels I've read. But then something happens in the last 1/3 that puts me off. Something about how he wraps up a story or his surprise, twisty endings always makes me angry! I'll keep reading, though. I kind of like getting angry at him now. HAHA. LOL, I absolutely know what you mean! He sure keeps ya guessing doesn't he?? My favorite thing about his books is how different each one is. He doesn't have a "formula" you know? Love that! I've only read one of his books and it mesmerized me. His writing is enchanting. Thanks for the recommendation. Although I never search out books about WWII AND I have had my fill with books in Italy, this does sound good. I loved Bohjalian's previous book (my first by him). I'm never disappointed by his books and they are all SO different. Love that! This author is going to be in town tonight, but I don't think I'm going to go because I have such precious free-time with my husband - about two hours a night lately. BUT, I have heard good things about this one and, I think he wrote it.. Sandcastle Girls? I completely understand but man would I love to meet him! I am so going to check out this book!! The setting sounds great - Florence, Italy! It somehow reminds me of one my favourite books I've read this year: The Savage Garden. That cover is nice too. The setting is absolutely gorgeous Melinda!